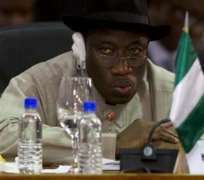 Abuja (THEWILL) – Vice President Goodluck Ebele Jonathan on Thursday in Abuja met with the nations entire security team in the first National Security Council meeting of 2010. The leaders according to the Vice President's spokesperson Mr. Ima Niboro, deliberated on Umar Farouk Abdul Mutallab's failed attempt to blow up a US commercial plane on Christmas Day and agreed on new measures to improve security at all Nigerian airports. Some of the new measures include provision of full body scanners at all Nigerian airports, complete search of all hand luggage, body frisks and the installation of vehicle scanners at all entrances to Nigerian airports. Ima Niboro said; “In the aftermath of the Christmas Day incident, there was a lot of worry by Nigerians, hence the meeting was convened and presided over by the Vice-President. Decisions have been taken. “At the airports, there will be 100 per cent frisking of all passengers and hand luggage will be thoroughly searched. Very soon body scanners will come in. The first set will come in by next week while others will follow. The spokesman said the Minister for Foreign Affair, Ojo Madueke briefed the Council on Nigeria's listing on the United States government's terrorist watch list and what the ministry intends to do to properly engage the US government to show that Nigeria does not support or harbour terrorist. At the meeting were the National Security Adviser, General Sarkin Muktar; Secretary to the Government of the Federation, Alhaji Yayale Ahmed; Attorney-General and Minister of Justice, Michael Aondoakaa; Minister of Defence, Maj. Gen Godwin Abbe (rtd); Minister of Interior Demola Seriki; Director General of the State Security Service, Mr. Afakriya Gadzama; Service Chiefs, Inspector-General of Police, Ogbonnaya Onovo; and the Comptroller-General of Immigration. The Chief of Defence Staff (CDS) Chief Air Marshal Paul Dike was represented at the meeting because he was unavailable due to his daughter's wedding. Meanwhile, the Nigerian bomber, Abdul Mutallab will appear before Magistrate Judge Mark Randon in an arraignment and detention hearing on Friday January 8, 2009, in a Detroit courtroom. The trial proper has been assigned to Judge Nancy Edmunds. The US government has already revoked Mr. Mutallab's visa. Cameras will not allowed in the court or premises.